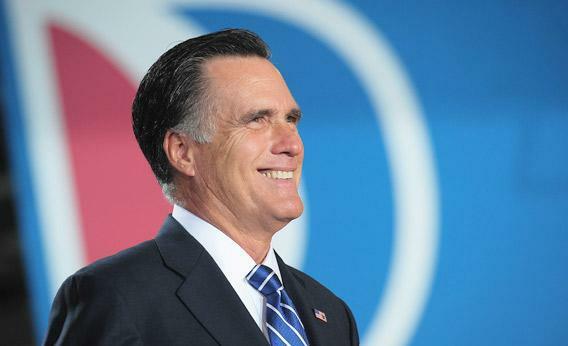 Mitt Romney, white vote: Parsing the narrow, tribal appeal of the Republican nominee. Why Do White People Think Mitt Romney Should Be President? Parsing the narrow, tribal appeal of the Republican nominee. I’m voting for Barack Obama on Election Day. This fact will appear on Slate’s list of which candidates its writers are voting for, a list which will almost certainly look like the 2008 list, which is to say an almost unbroken string of “Obama.” People will look at this list—Obama, Obama, Obama, Obama—and they will say, Look at the Slate writers, inside their bubble. And they will be wrong. There is a real, airtight bubble in this election, but it’s not Obama’s. As a middle-aged white man, in fact, I’m breaching it. White people—white men in particular—are for Mitt Romney. White men are supporting Mitt Romney to the exclusion of logic or common sense, in defiance of normal Americans. Without this narrow, tribal appeal, Romney’s candidacy would simply not be viable. Most kinds of Americans see no reason to vote for him. Sununu was trying to be snide. But there he is, standing with Mitt Romney. Just like Donald Trump and Clint Eastwood and Buzz Bissinger and Meat Loaf—one aging white man after another. It’s a study in identity politics. Romney’s camp is focused intently on capturing at least 61 percent of white voters. That would provide him a slim national majority—so long as whites constitute at least 74 percent of the vote, as they did last time, and Obama doesn’t improve on his 80 percent showing with minorities. Welfare, yes. Let’s come back to “welfare.” But first, how’s the strategy been doing? A recent ABC/Washington Post poll found Romney leading Obama 65-32 among white men and 53-44 among white women, giving him a 59 percent share of the white vote overall—“a new high,” and closing in on that 60 percent target. This has been the foundation of Republican presidential politics for more than four decades, since Richard Nixon courted and won the votes of Southerners who’d turned against the Democratic Party because of integration and civil rights. The Party of Lincoln became the party of Lincoln’s assassins, leveraging white anger into a regional advantage and eventually a regional monopoly. It’s all very basic and old news, but it’s still considered rude to say so, even as Republican strategists talk about winning the white voters and only the white voters. In the other election, the election scripted for white voters—honestly, I’m not entirely sure what the story is. Republican campaigns have been using dog-whistle signals for so long that they seem to have forgotten how to make sounds in normal human hearing range. Mitt Romney appears to be running on the message that first of all, Obama hasn’t accomplished anything, and second of all, he’s going to repeal all the bad things that Obama has accomplished. And then Romney himself, as a practical businessman, is going to … something something, small business, something, restore America, growth and jobs, tax cuts, something. It’s a negative campaign in the pictorial sense: a blank space where the objects would go. A white space, if you will. The passion comes from what Romney is running against. For more than four years, without pause, Republicans have been campaigning and propagandizing against an imaginary Obama. At the most grotesque end of the fantasies, he is a foreign-born, anti-colonialist Muslim. In more reputable precincts, he is a power-mad socialist and a dumb affirmative-action baby, promoted all the way to the presidency by a race-crazed, condescending liberal elite. (As if the presidency of the Harvard Law Review were awarded to anyone but the hungriest shark in the shark tank.) This is the position of the party’s mandarins and reputable spinners—that Obama was foisted off on regular Americans against their will, despite all those votes last time around. Hence the baiting of Obama, throughout his term, for supposedly being unable to speak without a teleprompter. Republicans predicted, over and over, that the president would be exposed and humiliated in face-to-face debate with an opponent (Newt Gingrich especially fantasized about being that foe). Eventually this led to Clint Eastwood haranguing the empty chair. And then in the first presidential debate, Obama was slack and ineffectual against a sharp Romney. See? It was true! And then Obama shredded Romney in the second debate, and kept cuffing him around in the third. Now Romney was the deflating balloon, wild-eyed and babbling and licking his dry mouth in desperation. From which Peggy Noonan—whose proudest credential is having written the scripts for a Republican president who couldn’t function without being fed his lines—concluded in the Wall Street Journal that the only meaningful debate was the first one. It’s a strange, inverted world, the white-people’s bubble, full of phantoms and rumors. Candidates are at the mercy of voter fraud, or the “urban—read African-American—voter-turnout machine,” according to the chairman of the Republican Party in Ohio’s Franklin County. (Voter turnout is a bad thing.) Jobs numbers are being fudged. Polls are being skewed. The liberal media are trying to hide how popular Mitt Romney is. So it was that Romney, speaking to ultra-wealthy supporters in what might have been the Whitest Room in America, ventured a joke about his father’s birth in Mexico: “And had he been born of Mexican parents, I’d have a better shot at winning this, but he was [audience laughs] unfortunately born of Americans living in Mexico.” Note that “Americans” is a synonym for “whites,” here. Note also that a room full of millionaires—a minority group that has dominated presidential politics in recent decades—believes that the true political advantage in this country belongs to children of Mexican immigrants. If there’s one thing white people have learned from decades of being targeted by campaigns, it’s that someone, somewhere, is trying to cheat them. This is the idea behind Romney’s 47 percent remarks in that appearance—America is divided between regular, productive folks and the people who are victimizing them. Here, Romney is speaking fluent White. In white people’s political English, “personal responsibility” is the opposite of “handouts,” “food stamps,” and particularly “welfare,” all of which are synonyms for “niggers.” This was Ronald Reagan’s rallying cry, and it was the defining issue for traumatized post-Reagan white Democrats. Like George Wallace vowing not to be out-niggered again, the Democratic Leadership Council and the New Republic and Bill Clinton made Ending Welfare as We Know It the policy centerpiece of the 1990s. The actual policy never mattered. Now the Romney campaign is running ads in Ohio saying that Obama “gutted the work requirement for welfare” and “doubled the number of able-bodied adults without children on food stamps.” In mixed company, Romney glosses the food-stamp lines as concern about the country’s economic status, but that’s not why “work requirement” and “able-bodied” are in there. It’s the rusty old Confederate bugle, blown one more time. At the end of the National Journal piece about Romney’s white-vote goals, a Republican strategist acknowledged the campaign was hanging its hopes at a shrinking target: “This is the last time anyone will try to do this.” This is a demographic proposition rather than a moral one: The GOP will end its get-out-the-white-vote strategy whenever it stops working. Maybe, with luck, this will be the final sounding of that bugle.